In the Maldives, the tourism industry is touted as the goose that lays golden eggs. According to the World Bank, the Gross Domestic Product (GDP) per capita ballooned from 600 USD in 1985 to over 9,000 USD by 2017. The nation graduated from one of the 20 poorest countries in the world in 1980 to a middle income country by 2017. A quarter of the overall GDP comes from tourism. While the country got rich, the majority of the population got poor in comparison. Centralization policies and the excessive tourism development on uninhabited islands benefit only a chosen few. Ensure every citizen have an equal opportunity to grow, to prosper and contribute to development of their islands and atoll communities. Recent Amendment to Regulation on operating tourist hotels in the Maldives, by Tourism ministry prohibits Islands without 24hrs electricity, police station, and health services running tourist hotels! 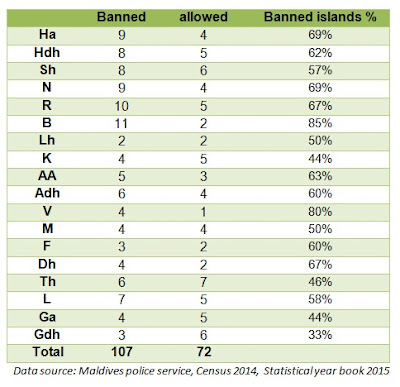 As per statistics of Maldives police service, 107 islands in Maldives do not have Police presence. The result is excluding 98,329 Maldivian citizens from earning an income from mid-market tourism opportunities. The regulation will also limit competition (guess to who) while encouraging forced migration and depopulation by making it tough for 58% of islands to create jobs within the community. Call upon government to reconsider the amendments and not to let few oligarchs hijack economic policy! Full list of the banned! Would appreciate if you could complete the Migration and Atoll Development survey, Maldives. The results of this survey will be used in the book "Falhu Aliran Muy" on migration and development of atolls in the Maldives. Beggars (islanders) cannot be choosers! Aren’t you surprised at people who are surprised by the very predictable results of elections in the Maldives? Think of an island. In practice, do they have permission to carry out any activity mentioned in decentralization law to maintain or develop their island? 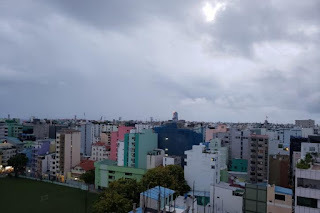 The central government in Male’, is one and only way through which provision of even basic services necessary for humans to survive in an island, is allowed. Islands can’t even dump their garbage, provide water, electricity, even housing plots, without the direct approval of central government. The island councils elected by the people, have been reduced to the role of a messenger to beg and plead, to central government, on behalf of people, thanks to the Local Government Authority given the task of empowering them! In Maldives everything works backwards or just the opposite of what is written because Maldives is where even good theories on governance or anything else, comes to die! Reports note that governance is even more centralized after the new constitution and decentralization law was passed. As in Maldivian history, rural Islands are forced to have a master slave relationship with government instead of the latter becoming a development partner who assists and empower them. In such an autocratic disempowered state, do the islanders in Maldives have any other choice other than electing representatives of government? Only when island communities are allowed to carry out developmental activities as mandated by Decentralization Act, they will start thinking about who can best assist them, on merit, rather than electing government backed candidates by default. International or locals, taking Maldives local elections as a sign of support for any ruling party of the day, needs to do a reality check! 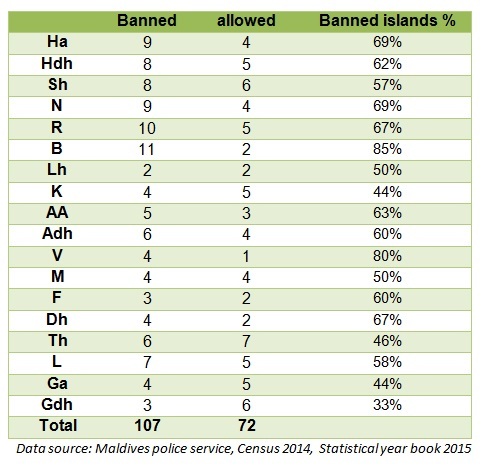 Powers given to Island and Atoll Councils by now “Disabled” Decentralization law! (h) Provide other services which are assigned to the councils, by a Law. (x) Undertake other activities prescribed by a Law. (w) Assist the Courts of Law and Government authorities to execute the sentences passed by the Courts of Law. (z) Provide other services that are prescribed by Laws.